The recreational use of marijuana has become much more accepted in recent years, so far gaining legality in ten states, among these Michigan as of the recent midterm elections. While many states have opted for the legalization of recreational marijuana use, it is still illegal under federal law, leading to a variety of issues for the marijuana industry. The most important among these is the refusal from the bank industry to work with marijuana businesses, forcing most marijuana businesses to operate entirely in cash. Although marijuana businesses are able to operate legally in many states, the banking institutions are not exempt from federal law. As marijuana continues to be classified as a Schedule I drug under the Controlled Substances Act, the possession and/or distribution of marijuana is illegal, with no exemptions accounting for legality under state law. The Controlled Substances Act imposes requirements on banking institutions through the Bank Secrecy Act (BSA), which establishes banks as one of the first lines of defense in screening for and identifying criminal activity, such as money laundering. According to the BSA, banks are required to screen current and future account holders for any possible criminal activity, suspicions of fraud, or possibility of illegal dealings. When a potential problem is encountered in these screening, banks must report such concerns to the relevant federal authority, as well as file official reports of such activity. 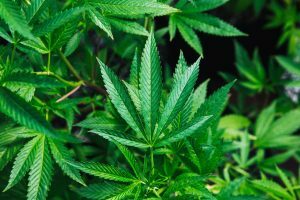 As marijuana continues to be classified as an illegal substance, the marijuana industry and any dealings with it are therefore also illegal, which makes it fairly clear why so many banks have such strong hesitations about becoming involved. invalidate state laws legalizing marijuana. The ambiguity displayed by the federal government towards this issue is primarily what has caused these difficulties. While the federal government has allowed these laws to exist and continue to be passed in more states, no significant effort has been made to create an established legal basis to allow banks to work with marijuana businesses. Until this legal basis is established, banks will continue to face significant potential for legal issues should they choose to open themselves to the marijuana industry. Carrying on from this point, the federal government has made some effort in the past to give clarity to banking institutions on how to proceed with marijuana businesses, stopping short of implementing actual policy on the matter. Under the Obama administration, the Department of Justice issued a series of directives known as the Cole Memoranda, which advised federal prosecutors against pursuing legal marijuana ventures so long as they adhere to a number of factors listed within – such as working to prevent violence within the cultivation and distribution of marijuana and prevent marijuana revenue from going to criminal enterprises. Following the issuance of the Cole Memoranda, the U.S. Treasury Department’s Financial Crimes Enforcement Network, responsible for giving guidance to banks for meeting the BSA’s requirements, issued guidelines for how banks can work with marijuana businesses, stating they must do so following the Cole Memoranda and report any violations of its listed factors. Despite what seemed to be a clear-cut statement for how banks can legally serve marijuana institutions, the number of banks which actively serve marijuana businesses remains relatively quite low. 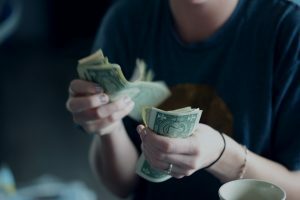 According to FinCEN’s latest report on the matter, there are currently 486 banking institutions providing service to marijuana businesses, only a small percent of the total number. 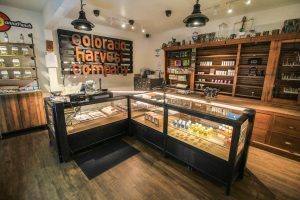 Furthermore, the Cole Memoranda was rescinded in January of 2018, revoking what little legal ground banks had to serve marijuana businesses. Despite this fact, its effects were not fully undone as most banks continued to serve them after this, and that number is still slowly increasing. It seems however that until either legislation is made officially allowing banks to work with this sector or marijuana is legalized federally, the tenuous relationship between banks and the marijuana industry will continue to be a problem. The Law Office of Kathryn Wayne-Spindler and Associates is always on top of the newest developments in the law and how it affects the normal citizen. The attorneys of Kathryn Wayne-Spindler and Associates are capable communicators and always quick to respond to your legal needs. Contact our Milford office at 248-676-1000 for information as to how we can address your specific needs. We help clients throughout Southeastern Michigan, including Genessee, Oakland, Livingston, Washtenaw, and Wayne counties, as well as Mid-Michigan in Clare, Gladwin, Ogemaw, and Roscommon Counties. Our experienced attorneys have counseled such clients in Milford; Hartland; Highland; White Lake; Commerce; Walled Lake; Waterford; West Bloomfield; South Lyon; New Hudson; Brighton; Howell; Ann Arbor; Holly; Fenton; Flint; Linden; Clarkston; Houghton Lake; Higgins Lake; Roscommon and many more local communities. This entry was posted in Blog, Child Custody, Divorce & Family Law and tagged child custody battle, child custody factors, marital property by Kathryn. Bookmark the permalink.